Prepare for sports collectibles to have mostly sentimental value. 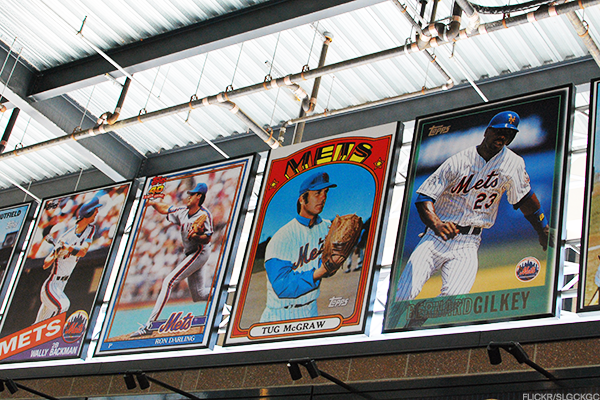 The odds are against your sports memorabilia being "worth something someday." With each generation that comes of age and attempts to unload a lifetime's worth of team merchandise, promotional items, cards, autographs and other items, there's the realization that much of the value behind those items was sentimental. That they were totems of your youth: A tie to an experience, an event or the person who introduced you to the game, but they're rarely good investments. 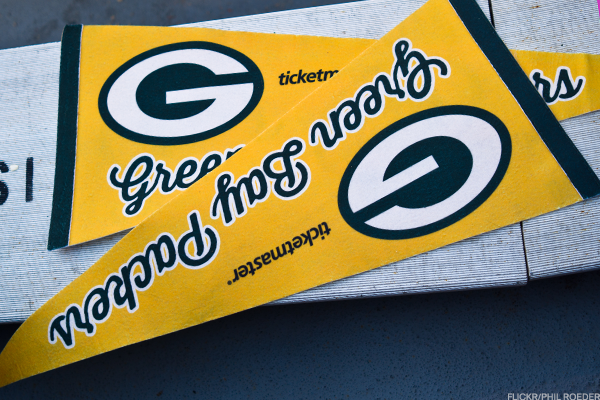 That sentiment fuels a $12 billion licensed sports merchandise business and a $1.5 billion autograph market, according to SportsMemorabilia.com. 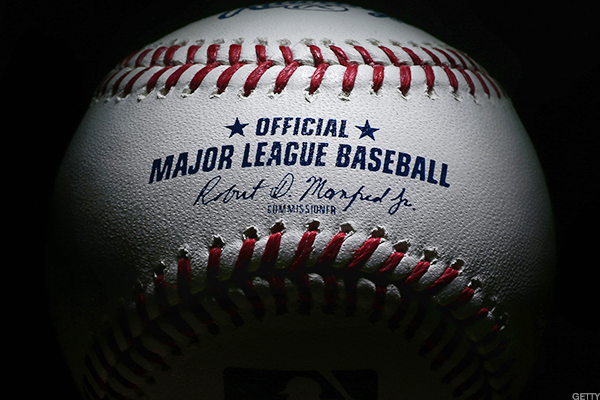 Baseball alone accounts for 26% of all memorabilia sales, but still ranks a close second to the 34% of revenue generated by National Football League items. That hasn't exactly discounted baseball's nostalgia market, as autographs from Cal Ripken Jr. and Willie Mays at memorabilia conventions can cost $150 to $300 apiece. However, those are living sports legends whose lives can still alter the monetary value of those signatures with even a minor misstep. It's a lucrative prospect for both the players and their estates, with former Green Bay Packers coach Vince Lombardi's son selling off notes and a championship ring and Pittsburgh Pirates slugger Willie Stargell's wife selling off items including his 1979 World Series ring and Most Valuable Player trophy earlier this year. However, it can be a tough market for fans to navigate, especially with shady dealers facing federal investigation for rigging auctions, bidding up their own items and tampering with collectibles without disclosing changes. Fraud is so common in the memorabilia world that Peter J. Nash, known to hip-hop fans as Pete Nice from late-'80s, early '90s group 3rd Bass, has dedicated an entire second career to it on his blog Hauls Of Shame. A combination of nostalgia, a growing buyer base, increasing expendable income and, yes, fraud driving up prices for the most sought after items into the millions, with even slightly lesser pieces regularly fetching six figures. Yet even big ticket items, like those related to baseball legend Babe Ruth that were recently sold at auction by actor Charlie Sheen can come under scrutiny for alleged fraud. Those high stakes make it more important than ever for fans to distinguish sentimental value from sales price and to make sure their memorabilia comes with as much provenance and certification as possible. That said, there are some items out there that are just never going to be worth anything. We went through myriad options for memorabilia and found 10 that are absolutely worthless monetarily. If you don't absolutely love these items, good luck unloading them. If you're a Generation X fan who really got into collecting baseball cards right around the time that Topps was using wood-grain borders and left just as Upper Deck was limiting prints of Pat Borders cards to only 10,000, we have some bad news for you: you've been taking up mom's attic space in vein. Kids of that era started doing the math in the late '90s and figured out that if Topps, Donruss, Fleer, Leaf, Upper Deck and Bowman were all making huge annual sets and everybody was keeping them in great condition instead of actually handling them, there was going to be a huge stockpile by the time all of those kids hit middle age. That's exactly what's happening now, and everyone from baseball-card experts to The Economist keep telling those collectors that they bought during a bubble that insured their Jose Canseco rookie cards and Billy Ripken cards with the naughty word on the knob of his bat would be worthless long after that bubble burst. Oh, autographs are still worth quite a bit... if they're real. According to Pro Sports Authenticators, as many as 50% all popular sports autographs are fakes. 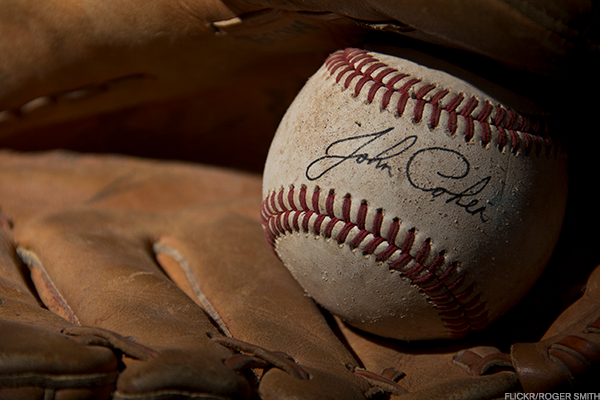 While signed collectibles are typically authenticated by one of three agencies -- Professional Sports Authenticator, James Spence Authentication and Global Authentics -- this isn't always common knowledge among collectors and certification isn't something someone receiving an autograph typically goes rushing out to get immediately thereafter. If you want any prayer of your autograph being worth anything, there has to be paperwork involved. Know what doesn't die? These hand-stamped, heavily produced, ubiquitous metal buttons. It requires a special event to get these buttons up to a price where folks would consider parting with them, but their value is especially difficult to gauge since they're also incredibly easy to reproduce. 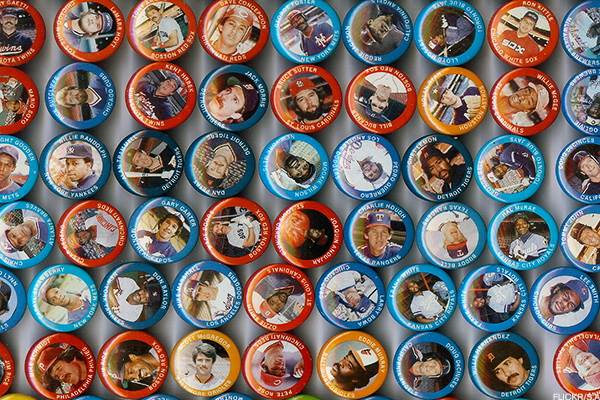 Political buttons have a laundry list of criteria that indicate when they were made and by whom, but sports buttons come with far fewer tells. It takes a trained eye and considerable research to spot a genuine Mickey Mantle pin, for example, but unless you were given it first-hand and can have it certified, you're going to have a tough time distinguishing it as the genuine article. Again, they can totally be worth considerable amounts, but ask Eli Manning how the paper trail behind them can get muddled. A trio of collectors is suing Manning, alleging that the New York Giants quarterback and one of his team's equipment managers has been passing off regular memorabilia as game-used to his memorabilia dealer, Steiner Sports, to fulfill his contract with Steiner while keeping game-used memorabilia for himself. 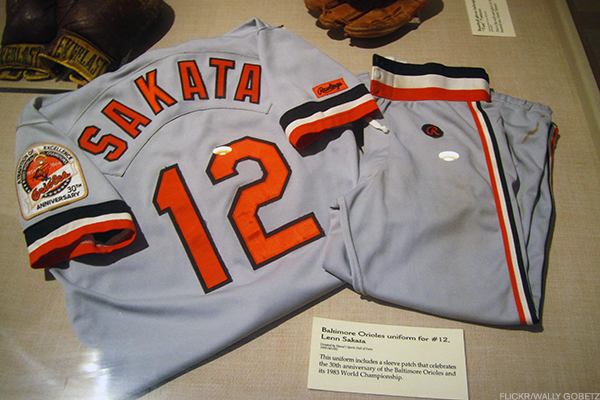 Game-worn items are a lot more difficult to authenticate than a typical autographed item, but also fetch a lot more money when sold to fans. The game-worn market has become so murky that former Dallas Cowboys running back Emmitt Smith has started a company, PROVA, that places scannable smart chips into jerseys, footballs and other memorabilia. When fans scan the chip with their smartphone, a mobile app confirms the item's authenticity, the game it was worn in, the records set during that game and the number of pieces (if it's a cut-up jersey, for instance) that it was cut into. PROVA chips were sewn into every Dallas Cowboys uniform during the the 2016-17 season and was recently added to trading card company Panini America's ten-card, $1,500 set teeming with signatures, jerseys, footballs and other memorabilia. More than a decade ago, eBay realized that some sellers were passing off items with autographs applied with a stamp as "authentic" hand-signed autographs. This gets complicated, as teams often give out items with stamped autographs as part of promotions. Those items aren't inherently worthless, but they're worth far less than actual autographs. Unfortunately, as eBay noted, even authenticators don't always catch the difference. There are ways to distinguish stamps from the real thing, but you're going to want to do so before you purchase an item second hand. If you want a 1969 New York Mets pennant (or Seattle Pilots pennant or a Milwaukee Brewers pennant) they're available on eBay now for less than $10. That's less than you'll pay for modern reproduction of those same pennants. Those pennants were never in short supply, were doled out in every city and were designed to take a beating. If you still a vintage felt pennant kicking around, display it proudly -- because you'll never make a dime off of it. Former Seattle Pilots, Houston Astros and New York Yankees pitcher Jim Bouton's Ball Four was a controversial tell-all when it was released in 1970. However, unless it's signed by Bouton in its hardcover version and in pristine condition -- and a first-edition to boot -- it isn't going to be worth much more than its cover price. 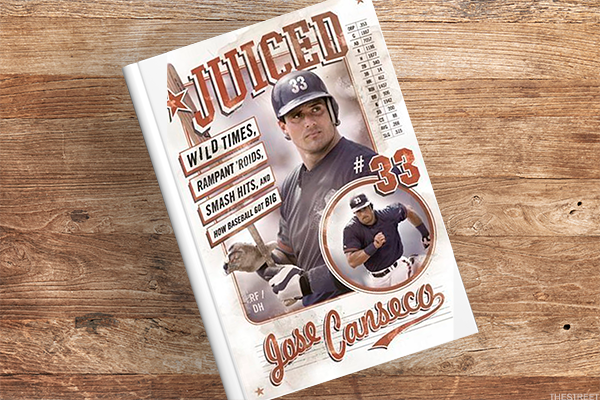 That rule is going to apply across the board to any mass-produced sports book, though we've seen signed versions of Jose Canseco's book Juiced take a steep discount after failing to move. The books themselves are worth little if they aren't rare or have no physical connection to the athletes or coaches tied to them. Think of them less as memorabilia and more as, well, books. 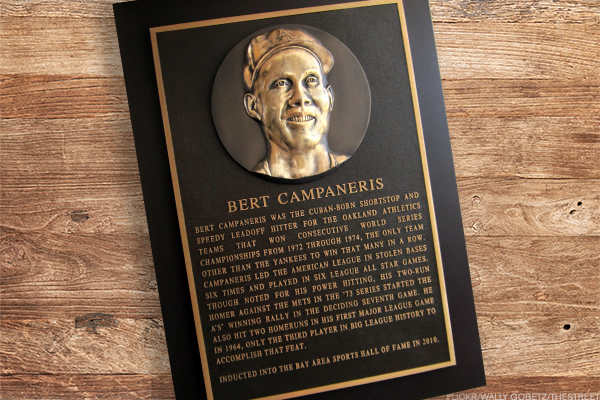 Each year, regardless of the writer's age at the time, his grandmother would present him with a New York Yankees item either pulled from the New York Daily News or purchased as a promotional item. With few exceptions, the items are posted on eBaby for around $10. With few exceptions, a 2004 set of ornaments posted for $25 comes to mind, they sell for far less. 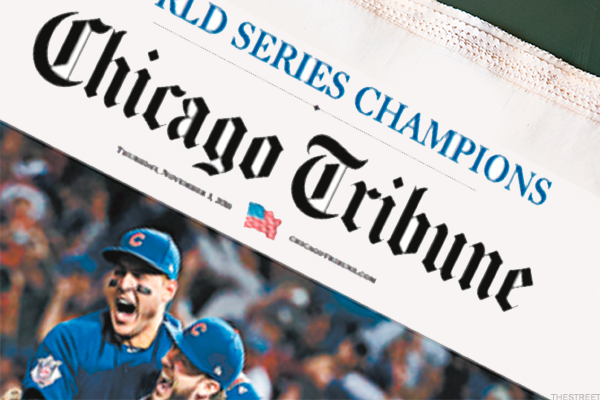 Chicago Cubs fans may still get triple digits for framed copies of the Chicago Tribune heralding the 2016 World Series win, but that was less than a year ago. Talk to Boston Red Sox fans struggling to unload Boston Globe inserts and World Series items for $10 or less. Again, these items were all in tremendous supply, and all well-preserved by folks who didn't think that thousands of other people would have the same idea. Collectibles that are produced to be "collectibles" seldom gain value after they're purchased. Wood-grain or black-painted plaques with mass-production photos under glass or plastic and a metal label indicating the significance of the photo above are boardwalk fodder. They're built for basement living rooms and kids' bedrooms, and they're produced in such high quantity out of such easily reproduced materials that they'll never appreciate in value. eBay is home to nearly 800 of them centered around World Series teams alone. They're offered for between $8 and $50. 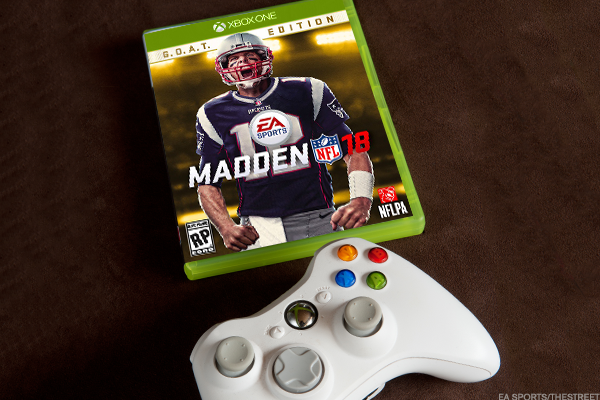 As anyone who ever had to visit a GameStop in September to return a Madden NFL game they bought less than a year before can tell you, there's absolutely no value in an old sports game. Even classics of the genre like NHL'94 for the Super Nintendo and Sega Genesis or ESPN NFL 2K5 for Sony's PlayStation 2 and Microsoft's XBox were produced in quantities too great to be valuable to anyone other than your inner child (or college student). When sports games are worth something, it's typically because the developer messed up. Copies of Electronic Arts's NBA Live 13 for the PlayStation 3 sell for more than $1,000 because EA scrapped the release at the last minute, but not before some retailers sold copies. A boxing game featuring James "Buster" Douglas, the first boxer to beat Mike Tyson, sells for $5,000 unopened because Sega released it for its underpowered Master System a year after the next-generation Genesis arrived. And why is Bandai's track-and-field game for the Nintendo Entertainment System worth nothing under the name World Class Track Meet but worth as much as $13,500 when it's sold as Stadium Events? Because there were so few produced under the latter name after it was rebranded to the former. Sleep Number tumbles after posting first-quarter earnings that beat analysts' forecasts but sales that missed.